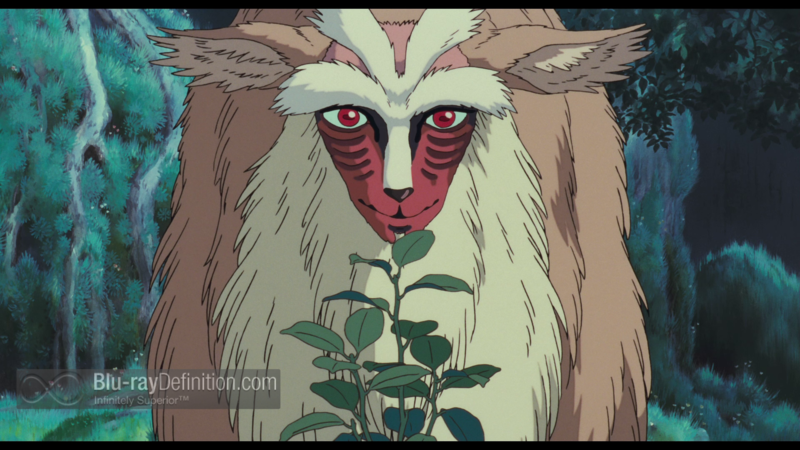 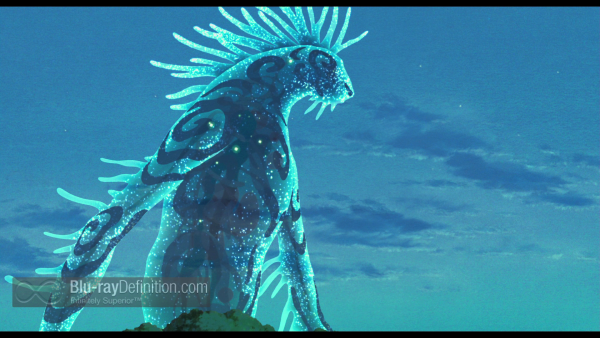 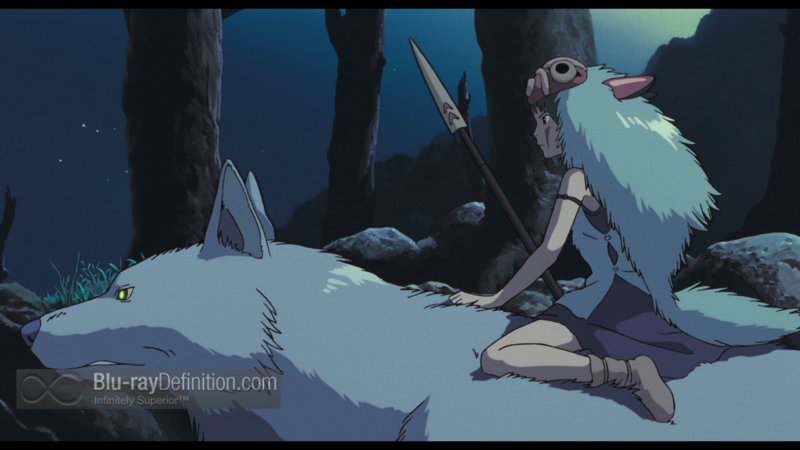 Miyazaki Hayao’s 1997 ecological epic Princess Mononoke (もののけ姫) was the great animator’s first real breakthrough outside of Japan is a wonderful fantasy, visually and thematically. The story pits the modern world against the old, mankind against nature, and places at the center of it an unlikely love story between two young people caught on either side. 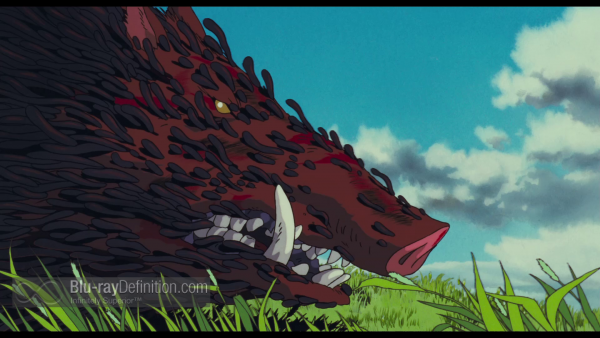 When his village is attacked by an ancient wild boar-turned demon, Ashitaka finds himself infected by the demon’s essence and must travel to the forest of the Deer God to find a cure. 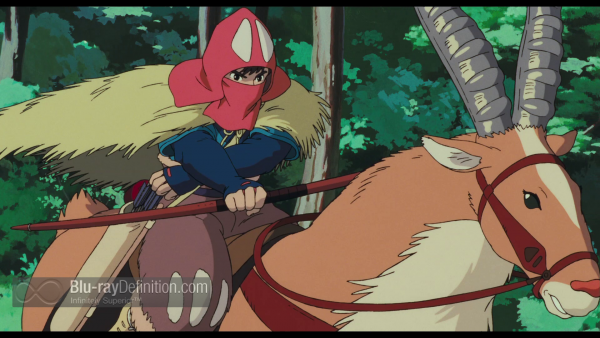 On the outskirts of the forest he finds the mining colony Tatara, run by Lady Eboshi, who is determined to wipe out the forest, all of its animals, and its old gods. 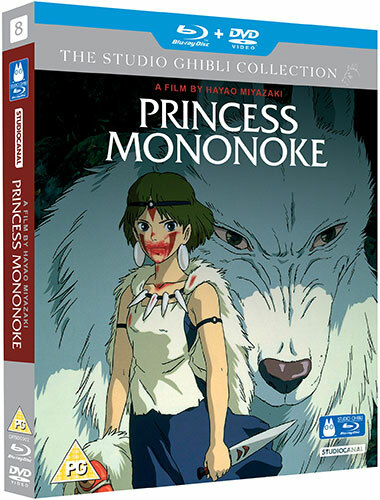 Meanwhile, in the forest, the old, sentient animals – wolves, boar, apes – are at odds with one another over the human threat, but one young woman, San, Mononoke-hime, a human girl raised by wolves, is determined to kill Lady Eboshi and defend her clan and the forest. 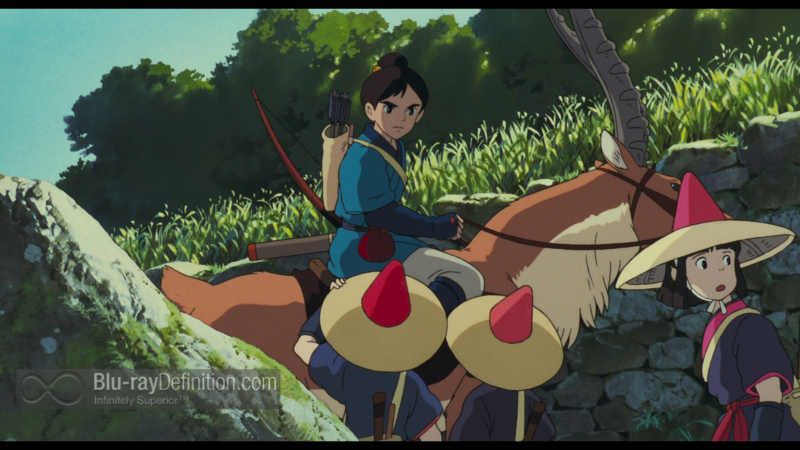 Ashitaka finds himself caught in the middle of the fight between Lady Eboshi, Mononoke-hime, and the animals of the forest while trying to find his cure from the great and elusive Deer God. 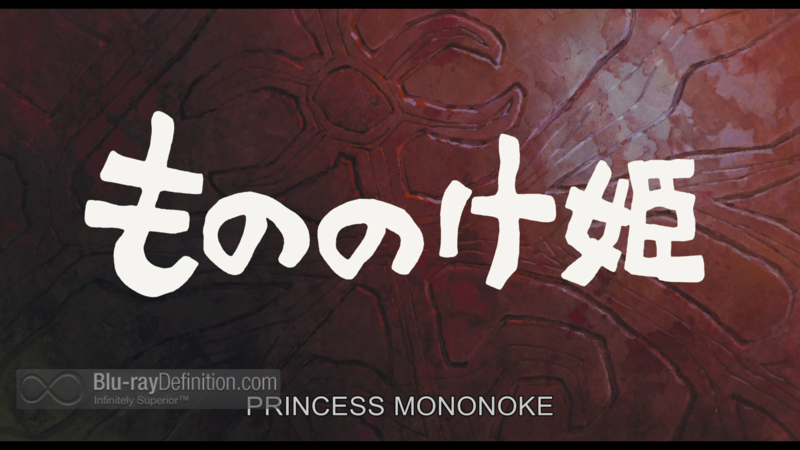 With its beautiful and signature animation style, a riveting blend of action, adventure, fantasy, and young romance, Princess Mononoke has a broad appeal and is one of the most beloved films from the powerhouse Japanese studio Studio Ghibli. 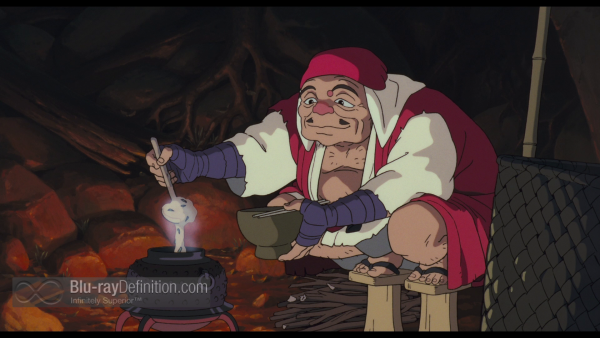 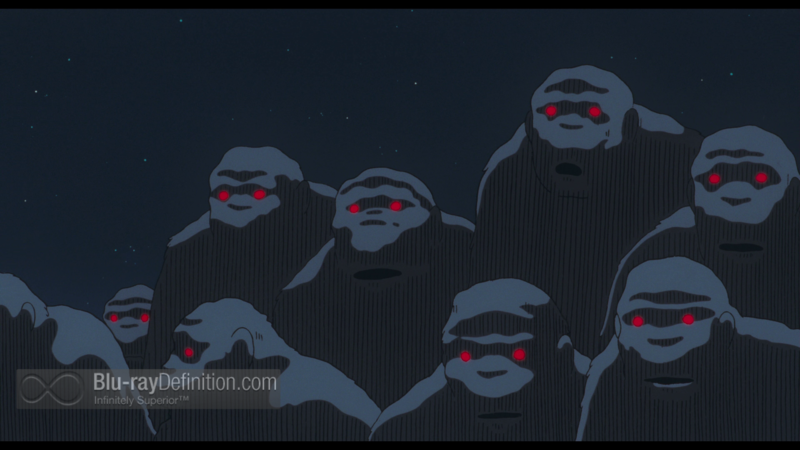 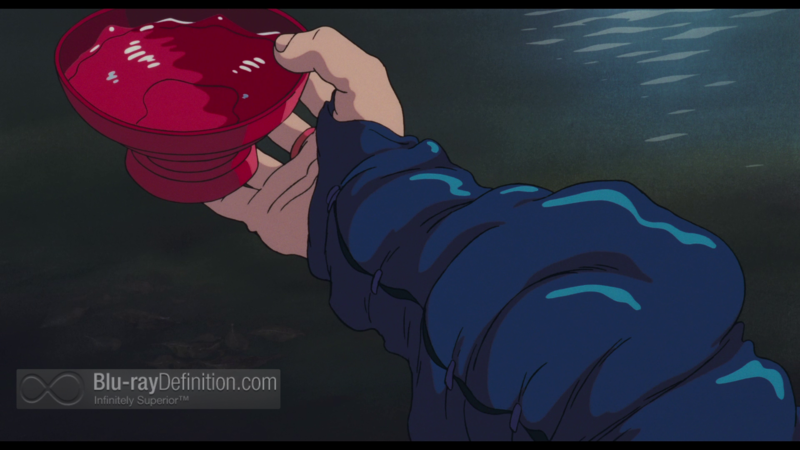 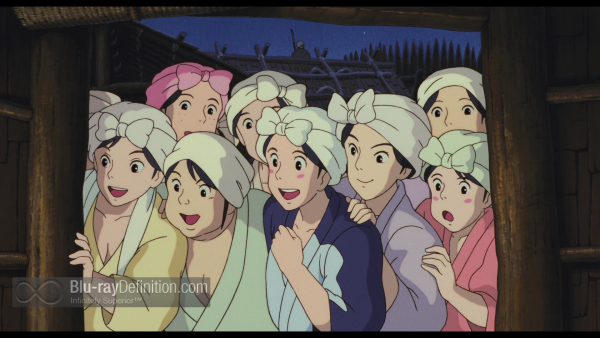 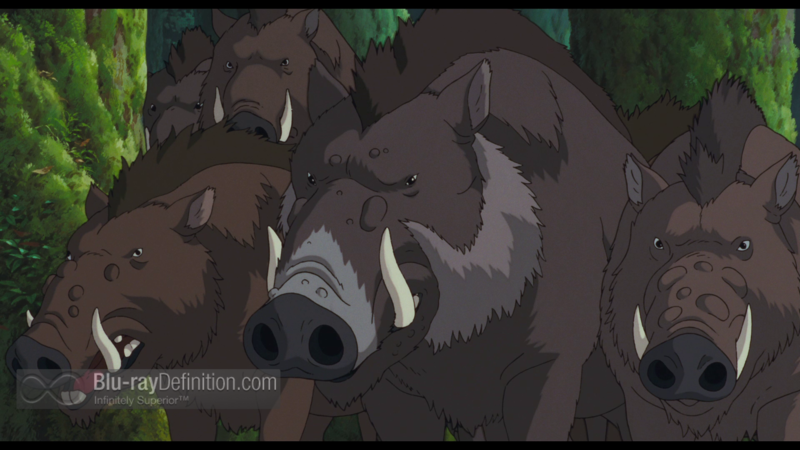 The English dub, translated by Neil Gaiman, author of Anansi Boys and American Gods, features a star-studded voice cast, including Billy Crudup as Ashitaka, Billy Bob Thornton as Jigo, Minnie Driver as Lady Eboshi, Claire Danes as San, Jada Pinkett Smith as Toki, and Gillian Anderson as Moro. 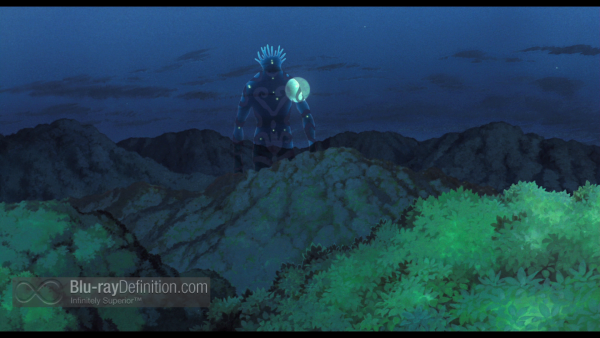 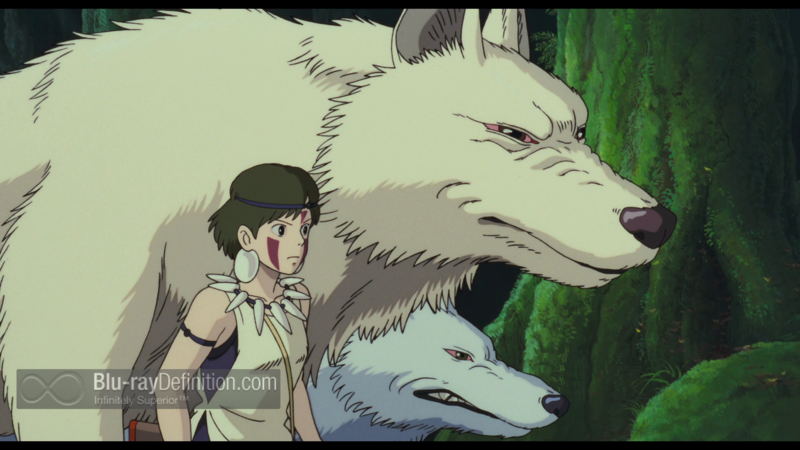 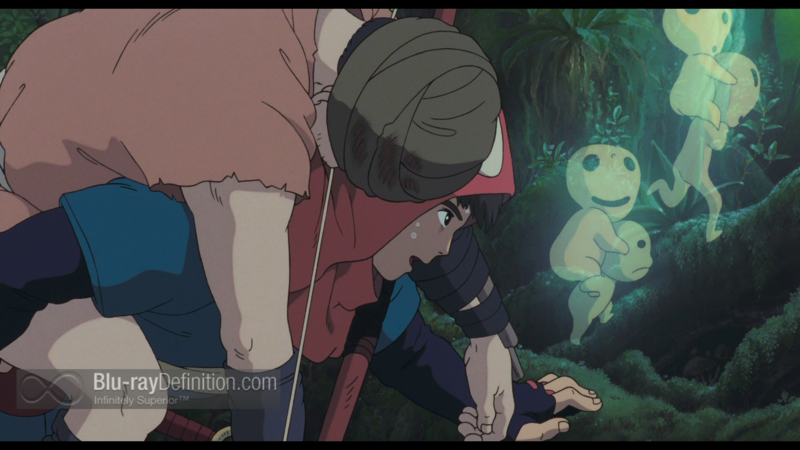 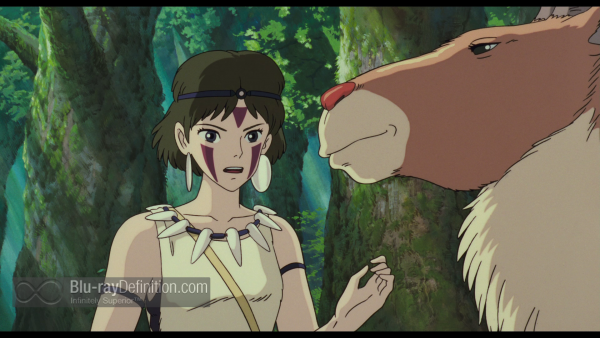 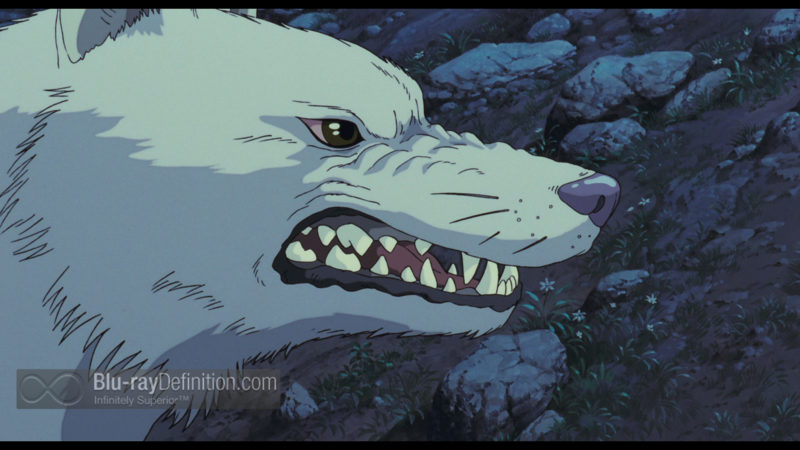 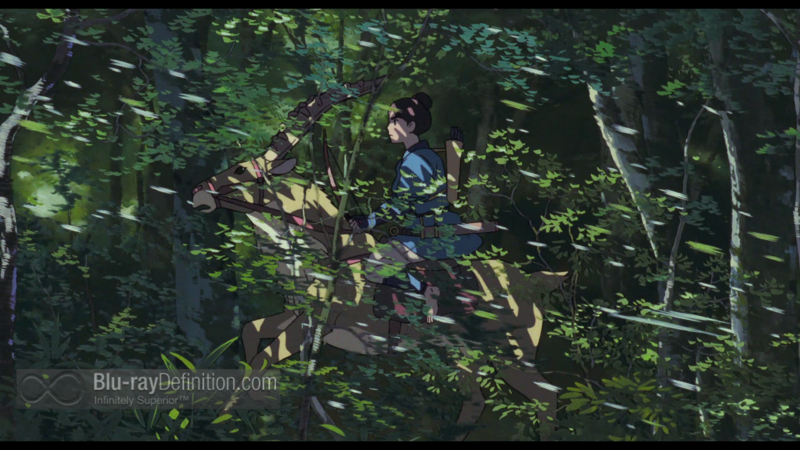 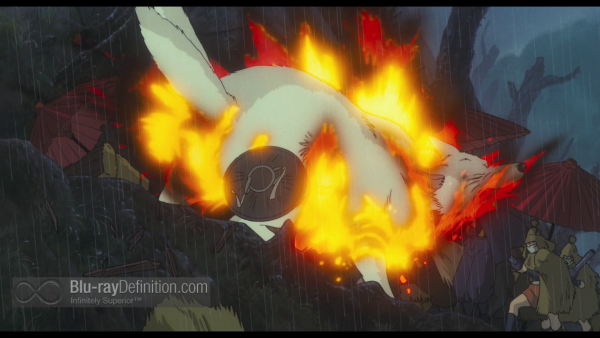 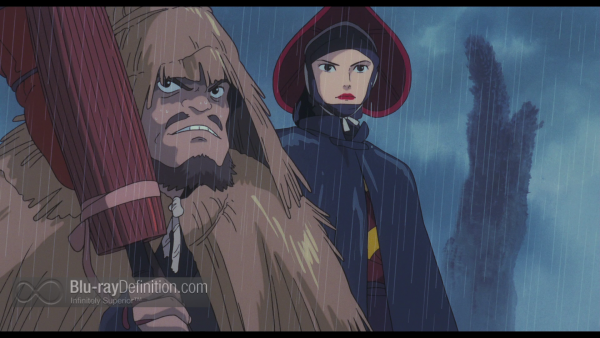 StudioCanal delivers Princess Mononoke on Blu-ray with an AVC/MPEG-4 1080p encodement that has been cleaned up and obviously had some grain reduction applied, but in the case of this release, we can still see a very thin layer of grain remaining. 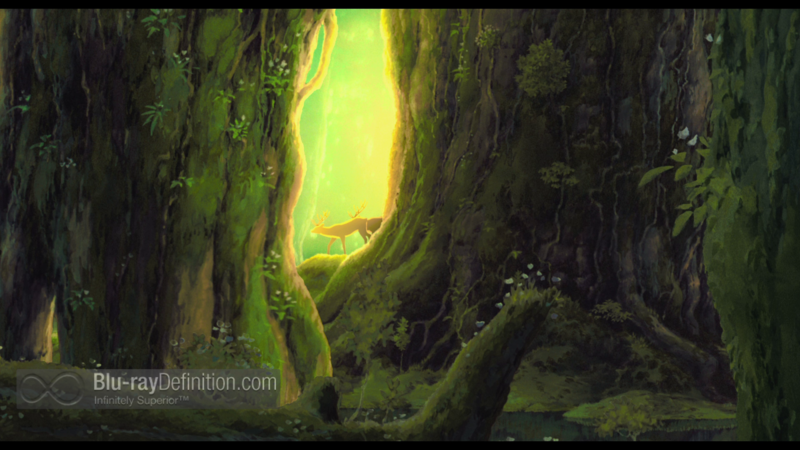 The image looks clean, detailed, colorful, and somewhat three-dimensional. Japanese and English tracks are provided in DTS-HD Master Audio 5.1 (48kHz/16-bit). The English dub brings the dialogue a little bit more forward in the mix and the dialogue also sounds a little fuller, but both mixes are good, with nice balance of sound. 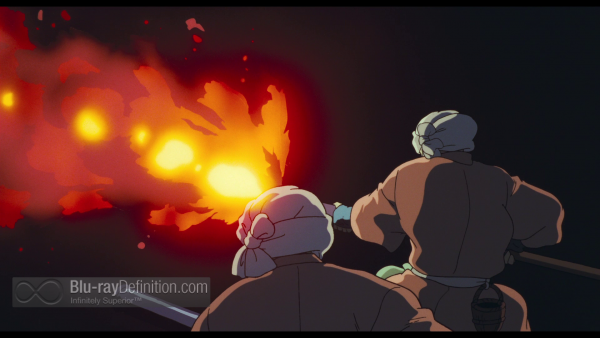 Some occasional discrete sounds surround us in a tight cloak of sounds, especially during some of the most intensive sequences, such as when San attacks Lady Eboshi compound, or the finale. 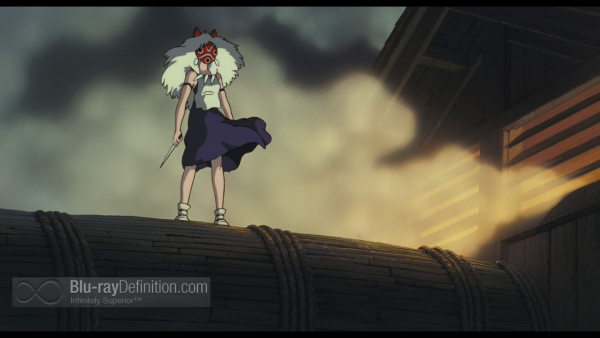 The low end extension is a little timid, but good enough to supply an adequately solid underpinning. 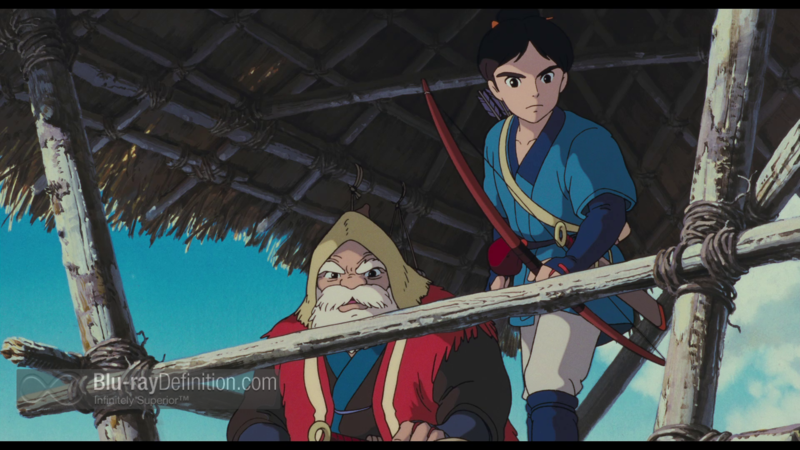 Storyboards – View the film with Picture-in-Picture storyboards. Princess Mononoke is a beautiful film to watch and skips by in a blink of an eye given its quick pace and captivating characters.